As a woman, you know that your health needs are unique and this includes your oral health needs. And because your needs are unique, you need to take extra care of yourself. While women tend to take better care of their oral health than men do, wom en’s oral health is not significantly better than men’s. This is because hormonal fluctuations throughout a woman’s life can affect many tissues, including gum tissue. These fluctuations occur when you mature and change, as you do during puberty or menopause, or other times when you have special health needs, such as menstruation and particularly during pregnancy. It is particularly important during this time in your daughter’s life to make sure she follows a good at-home oral hygiene regimen, including regular brushing and flossing, and regular dental care. In some cases, our dental professional may recommend periodontal therapy to help prevent damage to the tissues and bone surrounding the teeth. Oral contraceptives – while women are taking drugs to help treat periodontal disease, such as antibiotics, may lessen the effect of an oral contraceptive. So be sure and consult our dentist about all the medications you are taking. See our dental professional for cleaning at least twice a year – you need to monitor your oral health. active destruction of the periodontal supporting tissues. Pregnancy Gingivitis and Pregnancy Turmors. Dentist Dunwoody: How much do dental fillings cost? and Why? over the phone because each person presents a different set of restorative circumstances, but you should be able to get a range of costs or a free consultation. Our dentist will advise you of the type of filling based on the size of the cavity and the location of the tooth in your mouth. Amalgams are more likely to be placed in the back of your mouth while composites are more likely to be used on more-visible front teeth. WebMD.com gives an overview of typical filling procedures and Colgate.com lists pros and cons of different types of fillings. provide retention of the filling. Our dentist may have to remove additional tooth structure to establish good retention for the filling. similar to what people get from other sources in the environment. 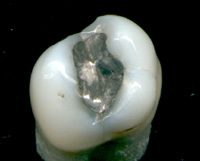 the higher cost (compared with amalgam fillings). Dr. Scheinfeld is an Emory University trained prosthodontist treating 4 generations of patients from Vinings, Marietta, East Cobb, Chamblee, Roswell, Alpharetta, Brookhaven, Dunwoody, Sandy Springs, Norcross, Buckhead and Midtown. Her associate, Dr. Sidney Tourial, the current President-Elect of the Georgia Dental Association has been in the practice for almost 19 years. Dentist Sandy Springs: 8 Windows your overall health sees through dentistry. I read this article the other day by the Mayo Clinic staff and it appears very much worth republishing. Please read this and adjust your life accordingly. Its really not that difficult to lead a healthy life style and live longer lives. or breach the mouth’s normal protective barriers may make it easier for bacteria to enter your bloodstream. as an infection of the inner lining of the heart (endocarditis). from periodontitis — a severe form of gum disease. may be associated with periodontal bone loss and tooth loss. Sjogren’s syndrome — an immune system disorder — and eating disorders. or you have a chronic condition. visits with pre-tax health dollars. If there is anything we can do to assist you, please do not hesitate to contact us. information was provided by Johns Hopkins website on arthritis. (http://www.johnshopkinshealthalerts.com). 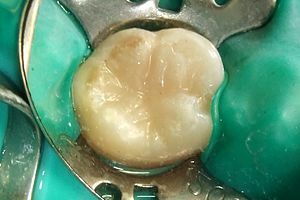 Whenever I hear a patient ask about amalgam restorations (usually referred to as mercury fillings), I wonder why this question refuses to go away. For decades, amalgams have been considered the primary restorative material for posterior teeth (the ones in the back) because of their long time success. After enormous amounts of study the World Health Organization, the FDI World Dental Federation, and the American Dental Association continue to endorse the use of amalgam to restore teeth. Yet it continues to be demonized by the public, in particular in urban legends over the internet. evidence to the contrary, the patient pool is demanding composite restorations. Every dentist will need an alternative material to use in the restoration of posterior teeth as this trend continues. The challenge for the dentist is that composite resins only have a life expectancy of 5 to 8 years. Given the patient’s desire to be rid of the potential or theoretical health hazards that have been formulated in recent years, amalgam restorations will ultimately be eliminated by the slow and natural death of attrition. While amalgam has been the material of choice for decades and still remains the primary source of teaching in dental schools today, it may not be in the future. Given the patient demand for composite restorations and what appears to be the dentist’s propensity to capitulate, we are going to need a better solution to posterior restorations if we want to achieve the same longevity that is achieved through amalgam restorations. The internet has continued to create an uncertainty on the part of the lay public about amalgams similar to the controversy that surrounds cell phones and brain tumors. It is interesting to note the dilemma faced by dentists today, when we know that amalgam is the better choice for the restoration, but the popular demand or path of least resistance is a composite restoration. This disconnect creates some interesting food for thought. Additional sources of information came from Gordon J. Christensen, DDS, James F. Simon, DDS, and Howard E. Strassler, DMD. Compendium of Continuing Education in Dentistry, July/August, 2011.
oral surgeon’s judgment, the use of a hospital is for precautionary measures. And patients with infections, their surgery will be delayed in order to avoid other health related complications. they fail to erupt and cause problems like cysts, crowding, decay or hygiene issues. to help make the final decision. Please remember that an oral surgeon is going to have a bias towards removal.